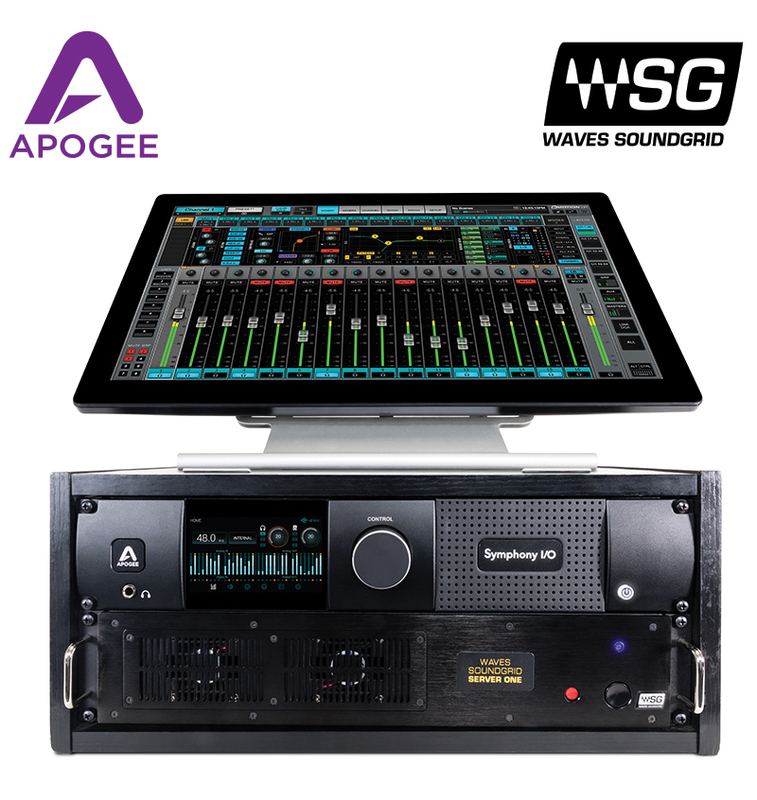 Santa Monica, CA, January, 9 2018 — Symphony I/O Mk II, Apogee’s flagship AD/DA converter, is now available with connectivity to Waves SoundGrid® network. With a simple Ethernet connection, Symphony I/O Mk II’s industry-leading sound quality can be easily accessed from your computer, shared between multiple rooms, multiple computers and supercharged with almost infinite real-time DSP power via Waves SoundGrid servers. Symphony I/O Mk II SoundGrid integrates seamlessly with all DAWs, providing endless possibilities for setups of every size for studio, live and post production workflows. Symphony I/O Mk II is the most advanced and flexible multi-channel audio interface available. 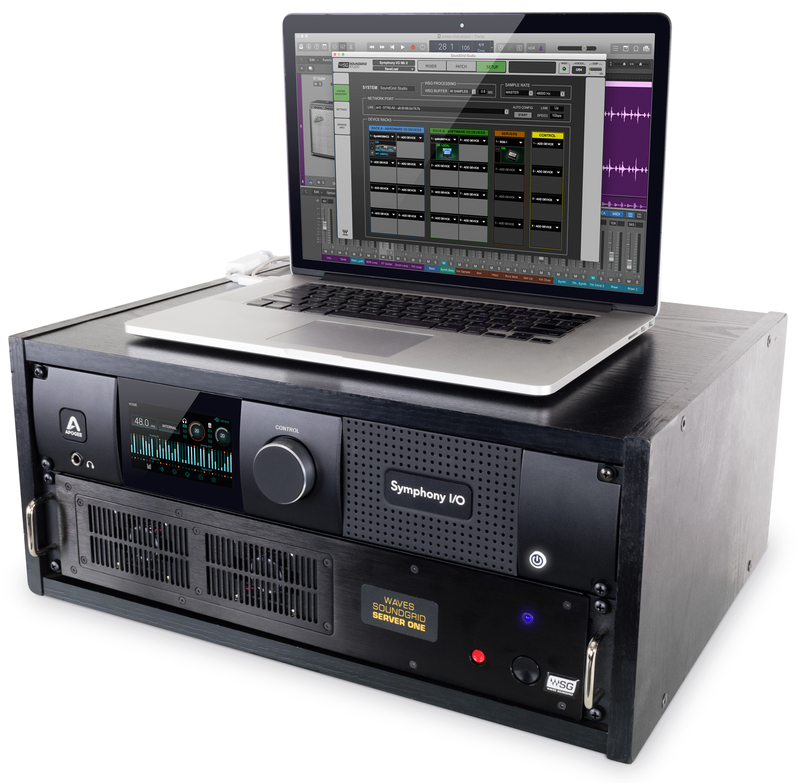 Featuring Apogee’s newest flagship AD/DA conversion, modular I/O (up to 32 simultaneous inputs and outputs), and intuitive touchscreen display, Symphony I/O Mk II offers direct connectivity to one of three different platforms – Thunderbolt, Pro Tools HD or Waves SoundGrid network. Waves SoundGrid® is an innovative networking and processing platform for real-time professional audio applications. Ideal for studios, live sound, broadcast, post-production and more, SoundGrid provides an extremely low-latency environment for high-precision audio processing. Together with a server, a Mac or PC host computer and Symphony I/O Mk II, SoundGrid lets you run, in real time, a multitude of award-winning reverbs, equalizers, compressors, and other mixing tools by Waves, as well as any other SoundGrid-compatible third-party plugins.